A specimen from the Franklin Mine. The image at the top was taken under visible light and the image on the bottom was taken under short wave UV. 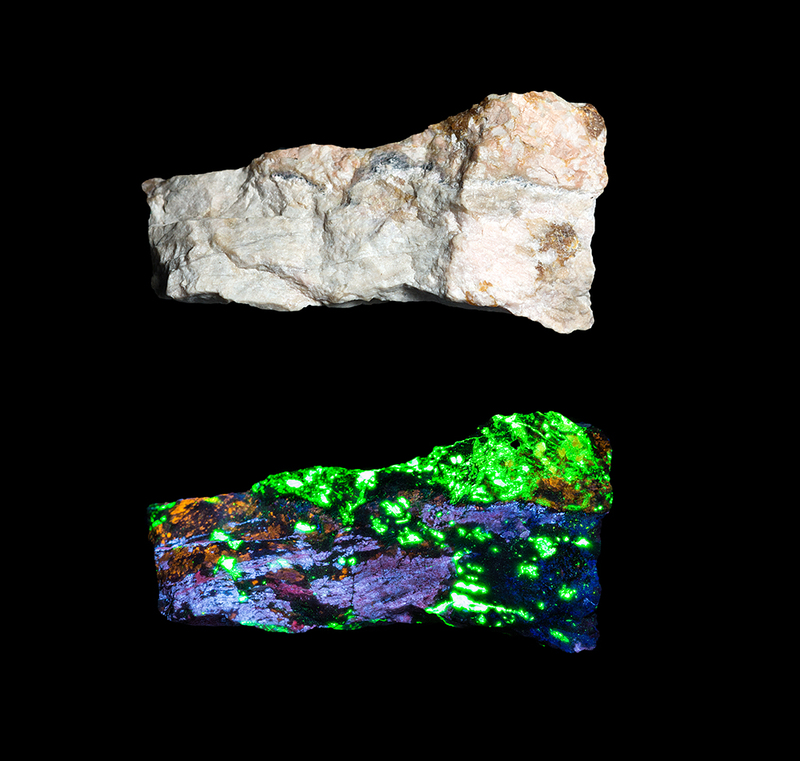 Under short wave UV the margarosanite appears blue, the willemite appears green, and the clinohedrite appears orange. 5.2 x 2.5 x 2.0 cm. Henry Minot photo & collection.